The best product for treating sheep with fly-strike. One can will treat from 1 - 10 animals depending on severity of fly-strike. Use as a preventative after docking, castrating or ear tagging. Treating sheep with fly-strike. Also a maggot, screwworm and ear tick spray for livestock and horses. Kills and repels face flies. Can also be used as a preventative after docking, castrating or ear tagging. One can treat from 1 - 10 animals depending on severity of fly-strike. 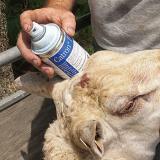 To prevent fly-strike after applying ear tags, spray either side of the tag with a short spray. 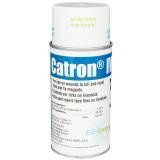 We were able to do slightly over 300 lambs with one can of Catron IV. Use during lambing, handling sick animals or conducting postmortems. Protect your hands from inks and fluids which may stain or cause skin irritation. For expanding elastrator rings during docking and castrating of lambs and goat kids. Metal construction. Rubber rings for docking lambs and castrating ram-lambs and billy-kids. This is our preferred fly spray. It is amazing how effective it is. 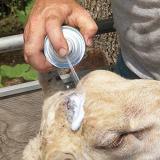 While applying ear tags, we sprayed over 300 lambs with one can. 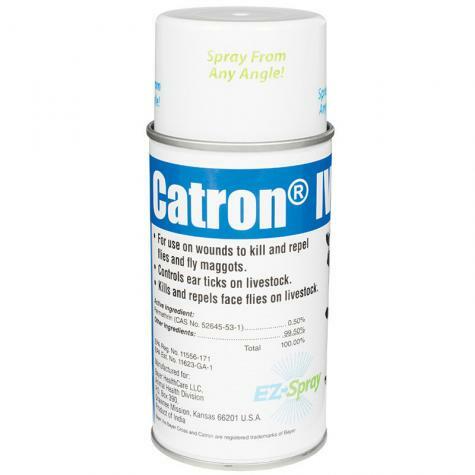 Every barn and most of our vehicles carry a can of Catron IV. BEST PRODUCT EVER! Do NOT raise sheep and not have a can or 2 of this in your arsenal. We have sheep in 3 locations. The ewes at one location started to show signs of flystrike! We immediately started treating with Catron and we saw immediate improvement.